Adam Fenix will be known to many gamers simply as the mysterious father of the protaganonist of the Gears of War series, Marcus Fenix. 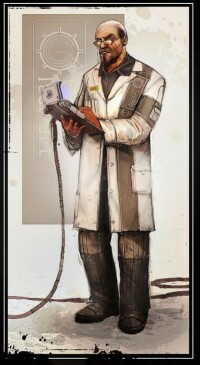 The first game informed the player he was a scientist and appeared to allude to the fact he was the key to ending the entire war between the COG and the Locust Horde. But if we delve a little deeper, we can find out a little more about Adam Fenix and his role in the Gears of War Saga through the stories told in the novels and cartoon tie-ins that have been published. 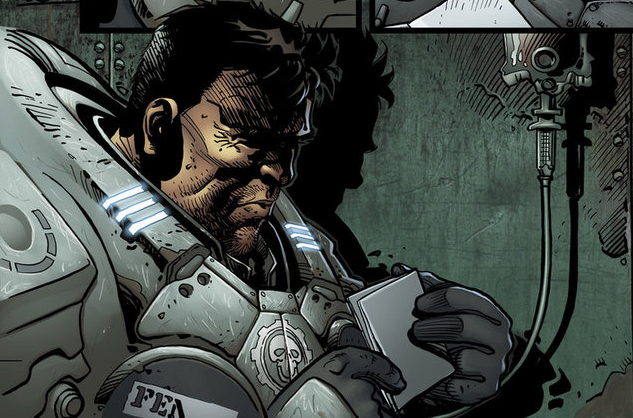 Adam Fenix, at one point, became a Gear soldier in the service of the Coalition of Ordered Governments. Adam Fenix became an officer, with the rank of Major, and gained a considerable reputation (to the point he is still known and referred to as "Major Fenix", rather than his current title of "Professor"). Fenix proudly fought with the 26th Royal Tyran infantry during the Pendulum Wars, before retiring to become a military-employed scientist. He married, had a son Marcus, and settled down into a scientific career, based at the East Barricade Academy but also at his secret laboratory beneath the Fenix Family Mansion (Where Marcus and Dominic went in the first Gears Game). Eventually Marcus Fenix enlisted the COG military himself. His Father greatly disapproved because he had hoped that his son would become a scientist. Adam Fenix was also involved in weapons research for the Coalition during the Pendulum Wars. He is indirectly involved in the asset denial operation at Aspho Point, and probably influential in the Hammer of Dawn's final development. The novel Aspho Fields by Karen Travis explains this story in more detail. A year into the Locust-War Adam Fenix was called into the House of Sovereigns. Newly-elected Chairman Richard Prescott, devised a plan to deny the Locust Horde all military assets across Locust-control Sera, while Fenix protested that flooding the Hollows would definitely defeat the Horde, but would cost too much time with his current plan of doing it. In the end, Prescott overruled Adam Fenix on the grounds that Tyrus could not last over a month against the Horde. The Chairman requested him to begin moving all available Hammer of Dawn satellites to cover the Locust held cities. He diverted some aspects of his research to study them, a portion of which included a complete mapping of the underground caverns of the Locust tunnels (though how he had completed these maps are still yet to be revealed). Another aspect of his research was to develop weapons, primarily satellite-mounted lasers and their targeting systems. It was Fenix that re developed the blade in the Lancer machine gun and incorporated the chainsaw action piece. 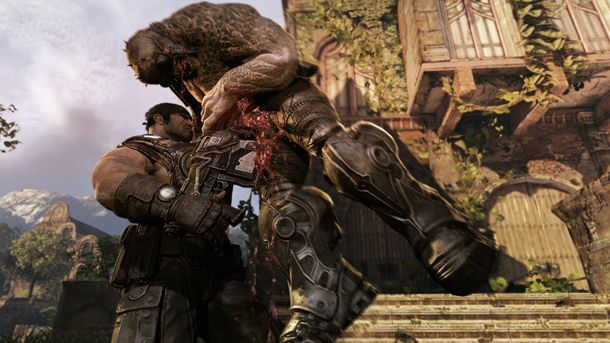 Marcus Fenix had told him that they needed something better to slice grubs with. During the Locust Wars Fenix also progressed work development and testing of the Lightmass Bomb and the Resonator. Adam also advocated the sinking of the Jacinto Plateau, the last COG-held city on Sera, in order to flood The Hollow in hopes of obliterating the Locust that survived the Lightmass bombing. In the 10th year of the Locust-Human War, during the Battle of Ephyra, Adam Fenix was believed to be killed by Locust forces. Shortly before this seemed to have occurred, Adam had sent a distress call to his son Marcus. Marcus, despite being in the middle of a battle and playing a key role for COG forces against the Locust, defied orders and deserted his post, rushing to his father's aid. Marcus was too late, by the time he arrived his father was gone, and assumed dead. This act cost Marcus his career and four years of his life and cost the COG a large portion of Jacinto Plateau and the lives of many Gears. According to Marcus, Fenix had something of great importance to the COG and summoned Marcus as a result. Marcus never found out what it was as Fenix apparently died before he could reach him. 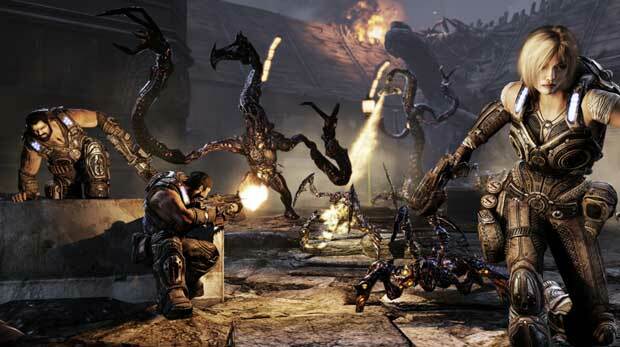 As played out in the original Gears of War game, 4 years later, Delta Squad, led by Marcus, returned to the Family mansion to retrieve Adam's data. Pursued heavily by the Locust, Delta succeeded in its mission. Marcus believed he had avenged his father against the Locust by using Adam's maps to great effect with the Lightmass Bomb. His father's plans had everyone thinking it would work, yet the final result was not what they expected. Playing through in Gears of War 2 we discover that Six months after the Lightmass Bomb deployment, Delta Squad having travelled through Nexus, found a message from Fenix on the Locusts' computers detailing his plan to end the war by sinking Jacinto to flood the Hollow. While Delta Squad are shocked by this plan and realize that the Queen is using the same one (to deal with the Lambent), they decide to implement the plan before the Locust leave the Hollow. Adam's plan is finally implemented and the Locust Horde is apparently wiped out mostly.